Who does not like pancakes, and more able to enjoy more followed if they were a healthy option. Your wish is my command! 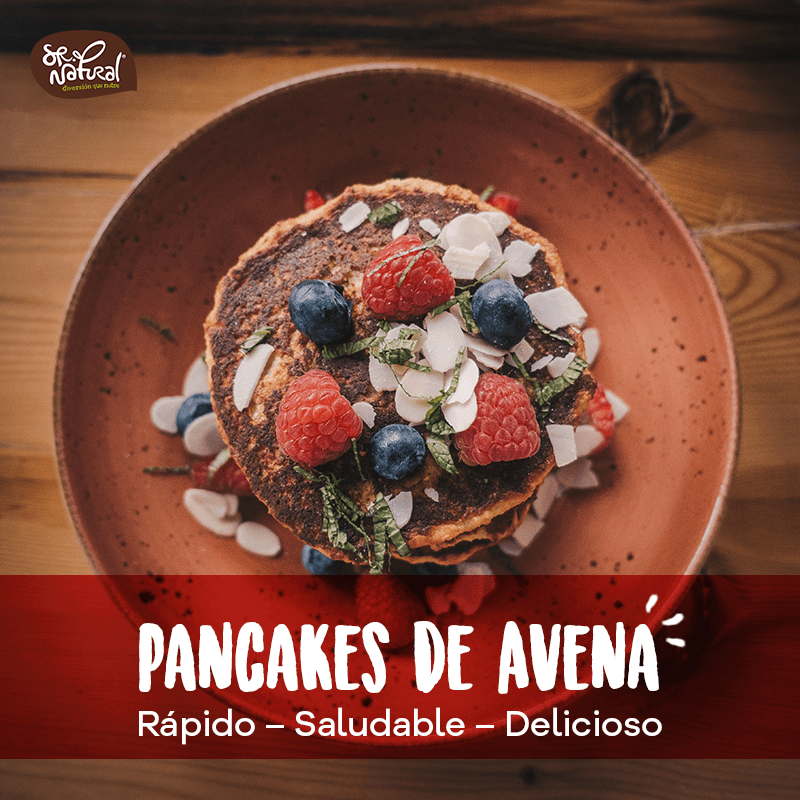 Here we share a very simple recipe of oatmeal pancakes that come to stay in your house and make you happy in the mornings. Ideal for your breakfast with friends or family, they are easy and quick to make, as well as carrying nutrients that fill you with energy and raise happiness levels while regulating cholesterol levels. Wow! Blend the baked oatmeal cereal into flour. Add the banana and vegetable milk, whisk or liquefy all together to form a compact and homogeneous mass. Serve the dough in a bowl and prepare the pan. Heat in a non-stick pan, little coconut oil for cooking and once hot, pour some of the dough in the form of pancake. Wait for it to brown, take off and turn it around. Serve the pancake on a plate and add your favorite topping. From topping you can use almond or peanut butter and / or fruit. Make your days know Sunday and nourish your body with good happiness.